The PlayStation Portable gets yet another boost today, as Atlus announces Shin Megami Tensei: Persona for the PSP, and enhanced remake of the PlayStation game that started it all. 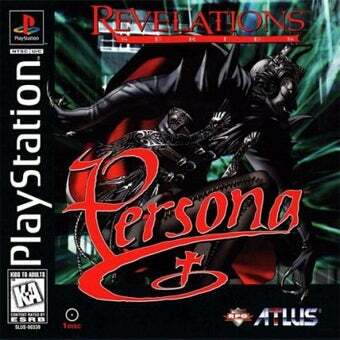 First released in North America as Revelations: Person in 1996 for the original PlayStation, the spin-off to Atlus' popular Megami Tensei gets a relaunch this fall on the PSP. The remake gives younger players a chance to see how the series first began, while a number of new features make the game worthwhile for even the most dedicated fans. The new version features an updated interface, reworked music, new cut scenes, a more balanced difficulty level, and a "completely redone localization and content never before seen in North America". Content never before seen in North America? Could that mean the Snow Queen quest left out of the original localization is back in? Snow Queen quest or no, PSP owners should be in for one hell of a role-playing experience once Shin Megami Tensei: Persona drops this fall.